The Philippines is one of the luckiest countries to have witnessed the second of this year’s total lunar eclipse phenomenon known as the “Blood Moon”. This total lunar eclipse was visible in Asia, Australia, as well as North and South America. The astronomical event is the second in a tetrad, the term for a series of four consecutive total lunar eclipses in 2014-2015. It was April 15, 2014 when the first Total Lunar Eclipse occurred which was not visible in the Philippines, second was just last night (October 8, 2014) which shows the magnificent reddish moon, the third will be on April 4, 2015 and the fourth is slated on September 28, 2015. 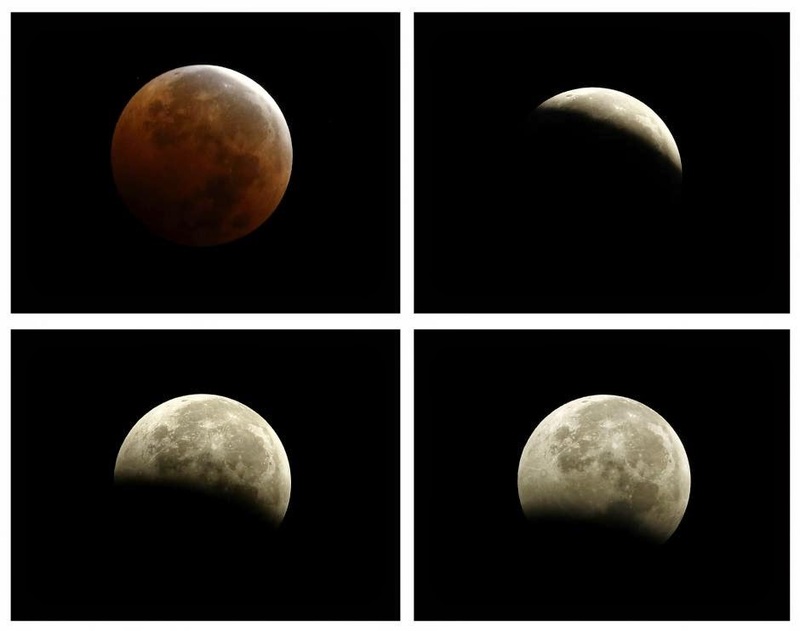 According to Jose Mendoza, chief of the Astronomical Publication Unit of the Philippine Atmospheric, Geophysical and Astronomical Services Administration (PAGASA), the moon rose in Metro Manila at 5:34 p.m. and the total lunar eclipse began at around 6:25 p.m. where the moon appeared reddish. The greatest full lunar eclipse was seen at 6:54 p.m. It has been recorded that it ended at 9:35 p.m. last night to the amazement of a lot of sky gazers who witnessed the phenomena. Total lunar eclipse happens when the Earth’s shadow blocks the light from the sun that normally reflects off the moon, which then envelops the moon causing a bright orange or reddish glow. This happens when the moon, Earth and the sun are perfectly aligned. Lunar eclipse is adhered to lot of myths and folklore around the world particularly here in the Philippines. The Bakunawa, according to Wikipedia “is a dragon in Philippine mythology that is often represented as a gigantic sea serpent, believed to be the cause of eclipses.” In America, they call the total lunar eclipse as “Hunter’s moon" which depicts the start of the hunting season in preparation for winter. Hagee said that the tetrad series holds religious significance, particularly because the first two blood moons align with the Passover and the Feast of Tabernacle although he said that, “We have been in the end times a long time. Technically, the end times began with the outpouring of Pentecost 2,000 years ago."